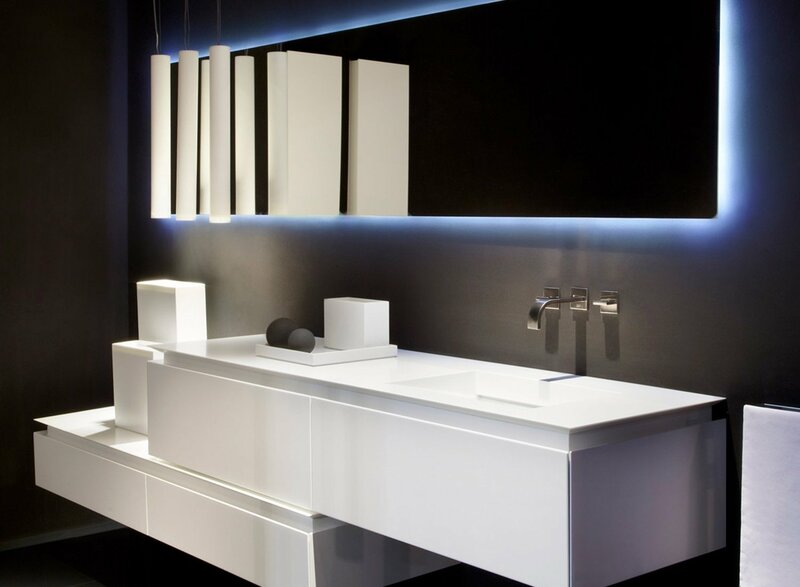 Corian is a material made of natural minerals and acrylic polymers, of a synthetic type, very versatile, easy to clean and to keep intact and efficient. It is hygienic, non-toxic, repairable, usable in countless areas of use, in all shapes and sizes. It can be carved, milled, molded, inlaid, thermoformed and subjected to a sublimation process. Available in a wide range of colors, it is used in specialist, technical and domestic areas, both in large formats for architectural solutions and in very small ones, as shown by the ever-increasing use in precision components and in other contexts where micro size is required. 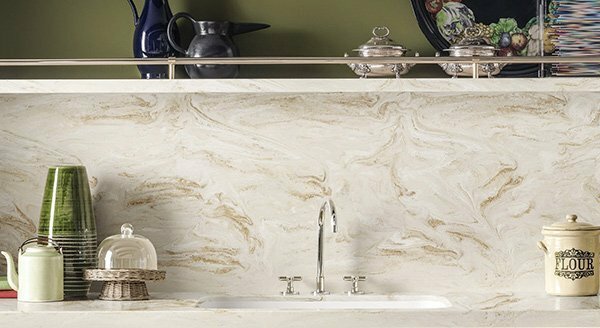 LG HI-MACS Natural Acrylic Stone is a very robust material, uniformly compact and stain-resistant, ideal for kitchen worktops and bathroom surfaces, and in general for all surfaces subjected to moisture and usury. It lends itself well to the creation of both horizontal and vertical surfaces. It is widely used in both residential and commercial areas. In addition to having passed the impact tests with flying colors, it resists well to most chemical agents and has a high resistance to UV rays, a prerogative that makes the colors unalterable.Its surface is non-toxic and without pores. The joints are invisible, to the benefit of hygiene and the aesthetic result. If required it can be supplied with antibacterial treatment. Thanks to the translucency it is also suitable for new applications: lighting systems, signs, exhibitors and special design objects. For installation, standard carpentry machines and tools are used. 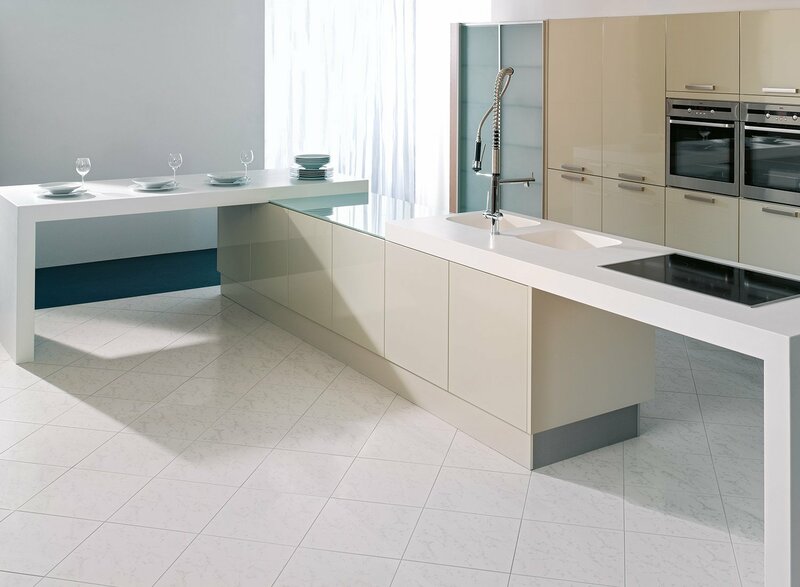 Hanex Solid Surface is a material composed of two thirds of rock mineral and one third of methyl methacrylate. Perfectly homogeneous and very resistant, it preserves its original appearance unchanged over time. It is supplied ready for delivery with a thickness of 12 mm and to order with a thickness of 6 mm. Its versatility makes it suitable for any project. It can be used in the most varied residential and commercial areas. Moreover, in the nautical sector and because of its hygiene in the health field. Elegant and refined, it is very easy to clean and its surface can easily be restored in case of scratches and signs of wear. To the listed prerogatives are added the non porosity, the chromatic stability and the invisibility of the junctions.